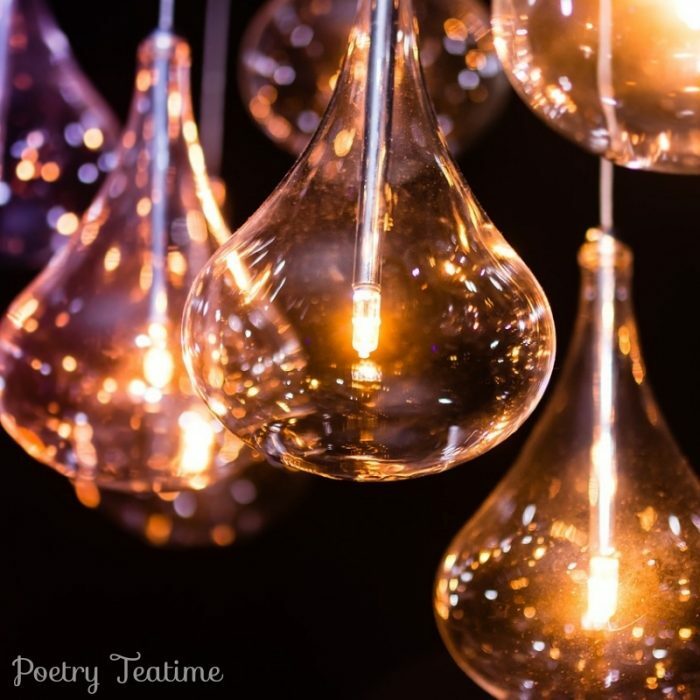 Here at Poetry Teatime, we love to offer lots of poetry writing resources and tips. But what about when your inspiration disappears and you just don't know what to write? In today's post, we'll be offering 10 ideas to help jump-start your imagination any time you'd like to write a poem. Know you want to write a poem but aren't sure where to start? 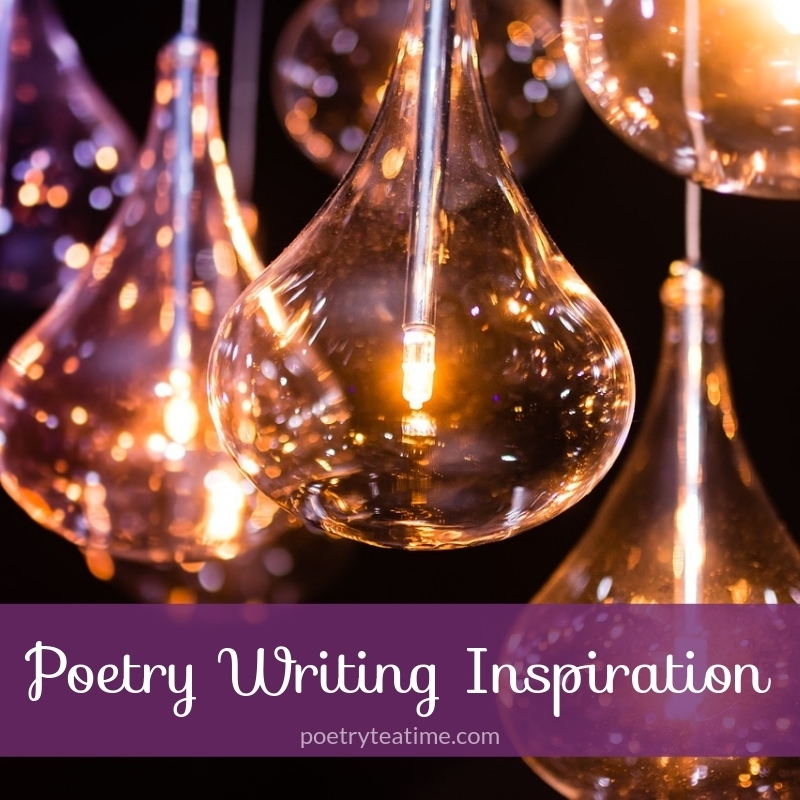 Want some help thinking of poetry ideas to write about? It's time to get your imagination in gear for today's poetry ideas! What makes me excited today? What makes me sad today? What makes me angry today? Use your own hopes, fears, and joys to inspire a poem. In Lewis Carroll's book Through the Looking-Glass, the White Queen tells Alice, "Sometimes I believe as many as six impossible things before breakfast." While it's lots of fun to believe impossible things, for poetry inspiration, we'll be trying something a little different: asking impossible questions. Why do planes fly in the air instead of below the ground? What if sunlight was hot pink? Why can't people fly using their arms as propellers? Think about something you wonder about the world. Why does the world have to be this way? Ask your questions and imagine the world in a new way. Dedicate your poem to someone else. You could write about your impressions of them or tell them something you think they should know. You could write them a message, describe them, give the poem to them as a gift...the options are endless! Do you love the Lord of the Rings more than anything else in the world? Could you hum tunes from Singing in the Rain all day? Use your favorite things as your poetic inspiration! Write a poem about orcs, or compose a poem and read it in your best Lina Lamont voice. Poetry means the most when you write about something that really matters to you. Think about news stories or social issues you've heard about that make you passionate for justice or change. Use poetry as a way to share what you care about with the world. Make your audience sit up, pay attention, and create change to make the world a better place. Go to your local art gallery or get inspiration from famous paintings here at Garden of Praise. With teens, check out this timeline of art from the Metropolitan Museum of Art, or find out more about specific paintings with these videos for kids of all ages from the National Gallery of Art. Find a work of art that you like and freewrite about it. Pay close attention to the details. Then, shape your freewrite into a poem. Learn more about writing an ekphrastic poem (a poem based on art) here at Poetry Teatime. Sometimes, you don't need much inspiration to get the creativity flowing. Just one word can be enough to prompt an idea and start writing. Find one word of inspiration here at OneWord.com, or an unusual word and its definition here at Random Word. The outdoors is one of the best places to find ideas for writing. Think about how many famous poems have been written about nature, from Robert Frost's "Stopping by Woods on a Snowy Evening" to "Lines Written in Early Spring" by William Wordsworth. But sometimes the outside world is too big and too overwhelming to focus on. So what can you do? Take a camera with you or create a "frame" either with an empty picture frame or pieces of cardboard taped together. Look at the world through that frame and choose one view to focus on. Then write about that one thing. One of the best sources of inspiration for poetry is other poems. Grab a few poetry books or check out poems for children from Poets.org or Poetry Foundation. Then, take your favorite phrase or line from the poem and use that as the beginning or inspiration for your own poem. Are you stuck for inspiration but someone else in your family is scribbling away? Why not collaborate and produce something together! Have each person write one line or one stanza of a poem, then pass it around and add to it. Before you know it, you'll have a full poem with lots of exciting twists and turns! That's it for our writing inspiration today! Be sure to check back in for new poetry prompts. And learn how to turn your inspiration into a poem with our series on How to Write a Poem from Poetry Teatime.